Thomas Kopton is a Senior Consultant at VMware PSO based in CEMEA specializing in SDDC Management solutions like vRealize Operations, Log Insight, Network Insight etc. He has been with VMware since 2016 and worked in the IT industry for over 20 years. Even if vRealize Operations, together with its rich Management Pack ecosystem, provides a huge number of metrics and properties for a variety of objects, there is sometimes that one requirement which cannot be met because of missing metric or property types for a given object. Maybe you need to store an internal tracking number with each of your ESXi hosts or maybe you need to add a custom metric reflecting the speed and status of the fans inside your hosts. 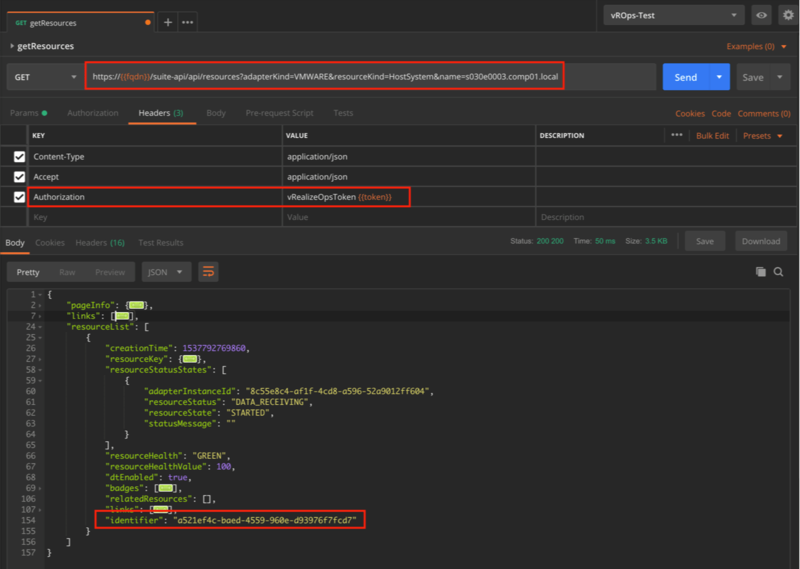 In this blog post, I will give you an overview of how to use the vROps REST API to add new custom metrics and properties to existing objects. How to collect or estimate values for such new metrics or properties (e.g. internal tracking numbers or fan status) is not the objective of this post. 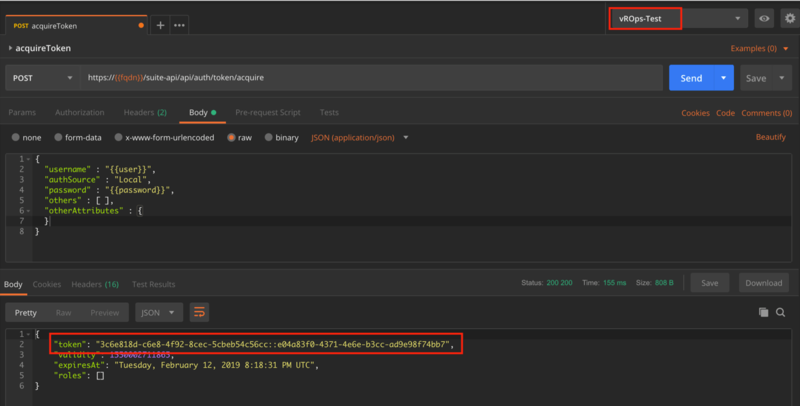 Postman client is one of the most popular and easy to use REST API clients and I will be using Postman to showcase all examples in this blog post. 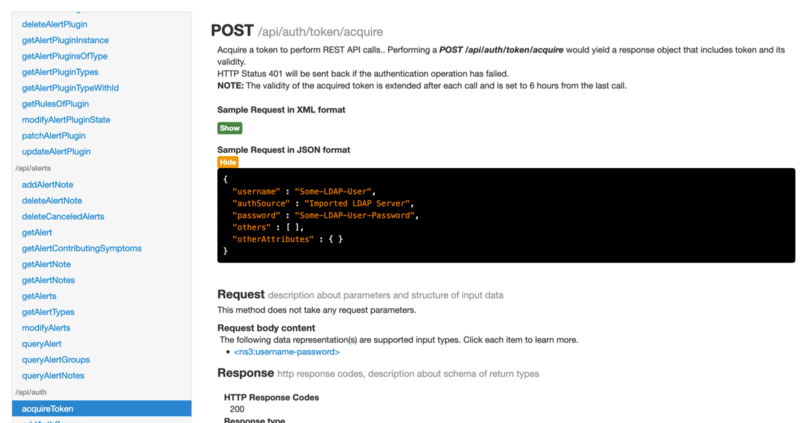 If you are not familiar with Postman, I highly recommend the Postman Learning Center to gain some experience with this tool. In an upcoming blog post I will explain how to accomplish the same using vRealize Orchestrator. So, stay tuned. 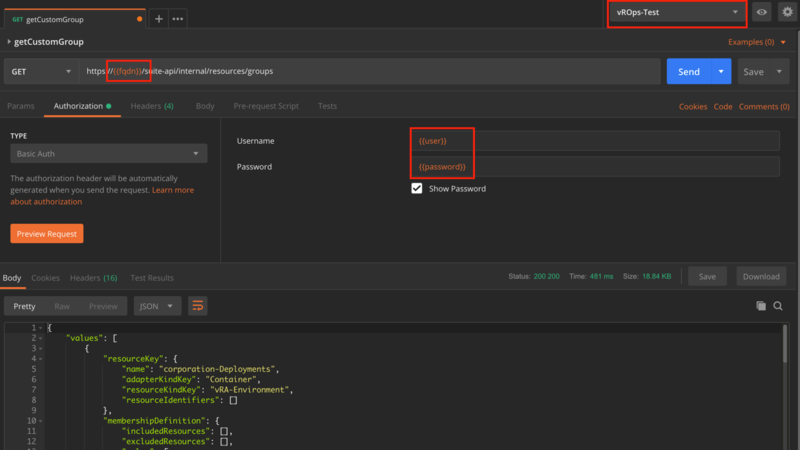 In this example I used “Basic Auth” but this will change in the subsequent examples. Note: to show the samples, your browser needs internet access. We need to make a POST call with a body containing credentials and as response we will receive the token, which will be used later on without any additional authentication. As you can see, we can push multiple new properties with multiple values in one invocation of the REST call. Please notice the difference in the type of the array used for the actual values. “values” stands for string data type and “data” stands for float, never mix up values for one particular property, this will make vROps try to convert between string and float resulting in unpredicted behavior. 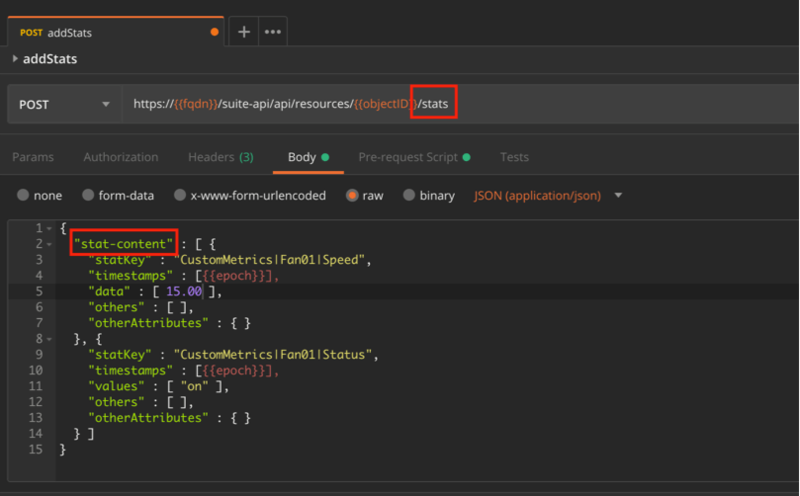 Adding custom metrics is as easy as adding properties. As mentioned, do not mix up strings and numbers in one metric, stick to what you defined with the first invocation of the call. 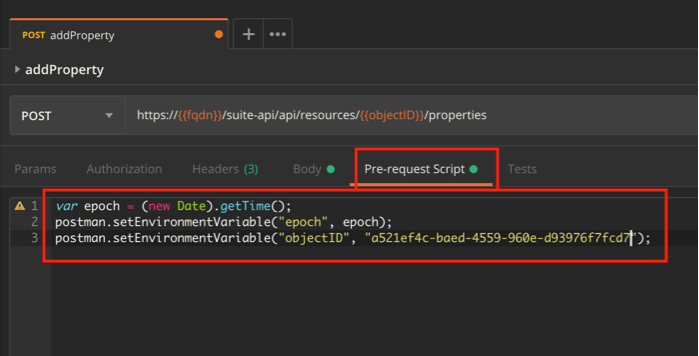 In upcoming post, I will demonstrate how to create custom objects using RSEST API via Postman and vRO. 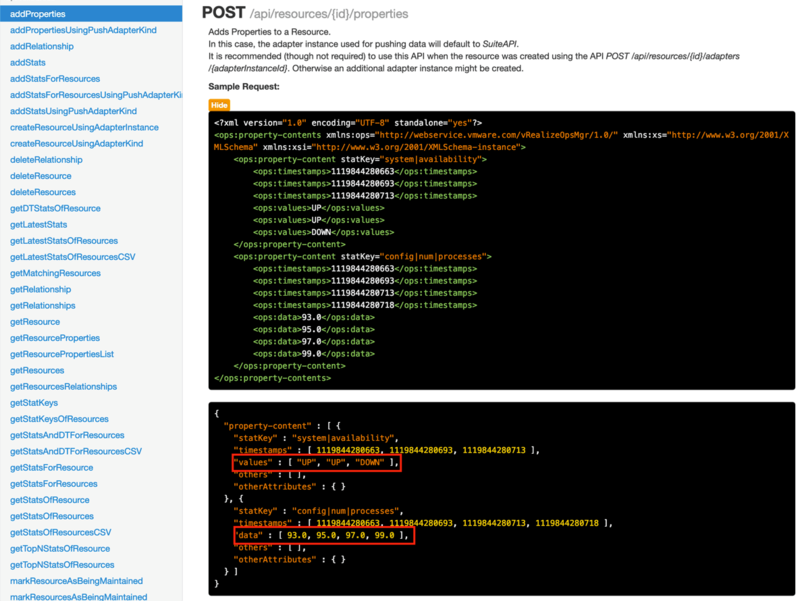 The post Adding Custom Metrics and Properties to vRealize Operations Objects with the REST API appeared first on VMware Cloud Management.